Kirsty Dougan joins newly created Vario as Asia managing director based in Hong Kong. Pinsent Masons has recruited former Axiom Asia head Kirsty Dougan to launch Vario, its flexible lawyering arm, in Hong Kong. Dougan joins Vario as managing director of Asia, based in Hong Kong. She had been Axiom’s Asia head between 2014 and 2018, advising general counsel on legal department management and restructuring, and recruiting freelance lawyers. Dougan was one of Asia’s early adopters of the flexible lawyering model. In 2009, she launched her own company, Asia Counsel, in Hong Kong with former Citigroup investment banker Serena Wallace-Turner. Asia Counsel was acquired by Axiom in 2010 and became the U.S. company’s Asia operations. Before moving into alternative legal services, Dougan was a Shanghai-based in-house counsel at British wine and spirits giant Diageo from 2006 to 2009, and built the company’s legal function for Greater China. At Vario, Dougan will launch operations in Hong Kong in the coming months. Vario’s London-based director Matthew Kay said the plan is for Dougan to build a team of about a dozen managers between Hong Kong and Singapore to support the Asia operations. Kay also said the Hong Kong operations will build a bench of 50 to 100 freelance lawyers during the next 12 months. Globally, Vario currently has more than 600 freelance lawyers. “[Pinsent Masons] is on such a strong growth trajectory and I am very excited to be able to work with the Vario team to continue this successful path in Asia,” Dougan said. Hong Kong will be Vario’s second location in Asia. It launched in Singapore last year, and the Australia operations launched in 2017—Vario’s first expansion outside the U.K. Vario currently operates in 12 cities: Aberdeen, Belfast, Birmingham, Edinburgh, Glasgow, Leeds, London and Manchester in the U.K.; Melbourne, Perth and Sydney in Australia; and Singapore. Kay told The Asian Lawyer last month that Australia, Singapore and Hong Kong are natural choices to add to Vario’s flexible lawyer offering because Pinsent Masons’ own offices there have already built scale. Kay said he plans to continue to expand Vario, with continental Europe now on its radar, pointing to Pinsent Masons’ recent launch in Frankfurt—the U.K. firm’s third office in Germany after Munich and Duesseldorf. Other flexible lawyer services have also been expanding in Hong Kong in recent years. In January, alternative legal services provider Elevate Services acquired Hong Kong-based Cognatio Law. Allen & Overy and Eversheds Sutherland launched their own flexible lawyering services, Peerpoint and ES Agile, respectively, in 2015. 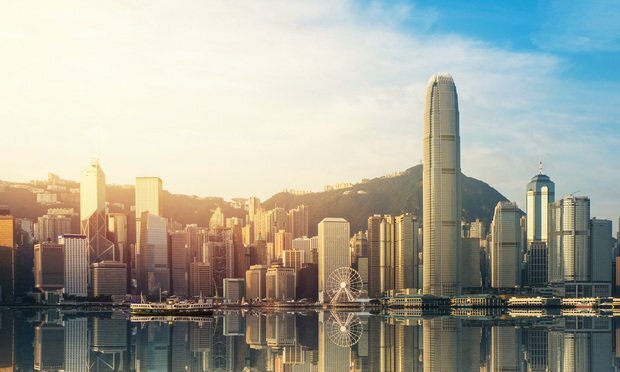 Herbert Smith Freehills’ Alternative Legal Services business, which provides technological solutions for document review and e-discovery, will also expand into Hong Kong in April.